Thomas Nadelhoffer is Assistant Professor of philosophy and law and policy studies at Dickinson College. He has written articles for journals such as Analysis, Midwest Studies in Philosophy, Mind & Language, Neuroethics, and Philosophy and Phenomenological Research. Eddy Nahmias is Associate Professor of philosophy and neuroscience at Georgia State University. 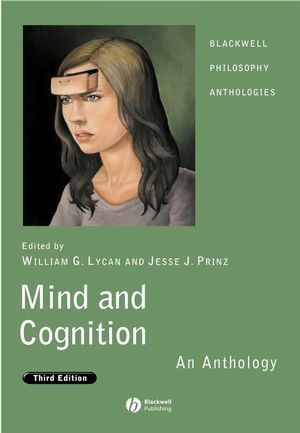 He has published articles in journals such as Philosophical Studies, Philosophy and Phenomenological Research, Mind & Language, and Consciousness and Cognition. He is the author of Rediscovering Free Will (forthcoming). Shaun Nichols is Professor of philosophy and cognitive science at the University of Arizona. His publications include Mindreading: An Integrated Account of Pretense, Self-awareness and Understanding Other Minds (with Stephen Stich, 2003), Sentimental Rules: On the Natural Foundations of Moral Judgment (2004), and Experimental Philosophy (ed. with Joshua Knobe, 2008). Introduction (Thomas Nadelhoffer, Eddy Nahmias, and Shaun Nichols). Part I: Reason & Passion. 1 Selections from A Discourse of Natural Religion (Samuel Clarke). 2 Selections from An Inquiry into the Original of Our Ideas of Beauty and Virtue (Francis Hutcheson). 3 Selections from An Essay on the Nature and Conduct of the Passions and Affections, with Illustrations on the Moral Sense (Francis Hutcheson). 4 Selections from Enquiries Concerning the Principles of Morals (David Hume). 5 Introduction to Groundwork for the Metaphysics of Morals (Immanuel Kant). 6 The Claim to Moral Adequacy of a Highest Stage of Moral Judgment (Lawrence Kohlberg). 7 A Cognitive Developmental Approach to Morality: Investigating the Psychopath (Robert James Blair). 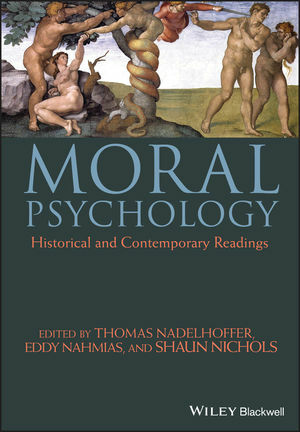 8 Selections from The Moral Problem (Michael Smith). 9 How Psychopaths Threaten Moral Rationalism: Is it Irrational to be Amoral? (Shaun Nichols). Part II: Altruism & Egoism. Introduction (Thomas Nadelhoffer and Shaun Nichols). 10 Selections from Republic (Plato). 11 Selections from Leviathan and The Elements of Law Natural and Politic (Thomas Hobbes). 12 Selections from Human Nature and Other Sermons (Joseph Butler). 13 Selections from An Inquiry into the Original of our Ideas of Beauty and Virtue (Francis Hutcheson). 14 How Social an Animal: the Human Capacity for Caring (C. Daniel Batson). 15 The Evolution of Reciprocal Altruism (Robert L. Trivers). 16 Summary of Unto Others: The Evolution and Psychology of Unselfish Behavior (Elliott Sober and David Sloan Wilson). 17 Why Altruism Is Impossible … and Ubiquitous (Barry Schwartz). Part III: Virtue & Character. 18 Selections from Protagoras (Plato). 19 Selections from Nicomachean Ethics (Aristotle). 20 Behavioral Study of Obedience (Stanley Milgram). 21 Selections from The Person and the Situation (Lee Ross and Richard Nisbett). 22 Persons, Situations, and Virtue Ethics (John M. Doris). 23 Situationism and Virtue Ethics on the Content of Our Character (Rachana Kamtekar). 24 Virtue Ethics and Situationist Personality Psychology (Maria Merritt). Part IV: Agency & Responsibility. 25 Selections from Nicomachean Ethics (Aristotle). 26 Selections from Essays on the Active Powers of Man (Thomas Reid). 27 Selections from Beyond Good and Evil and Twilight of the Idols (Friedrich Nietzsche). 28 Selections from Beyond Freedom and Dignity (B.F. Skinner). 29 Apparent Mental Causation: Sources of the Experience of Will (Daniel M. Wegner and Thalia Wheatley). 30 Agency, Authorship, and Illusion (Eddy Nahmias). 31 Free Will in Scientific Psychology (Roy F. Baumeister). 32 Scientific Skepticism About Free Will (Alfred R. Mele). 33 Selections from The Methods of Ethics (Henry Sidgwick). 34 Selections from The Right and the Good (W.D. Ross). 35 The Trolley Problem (Judith Jarvis Thomson). 36 Selections from Living High and Letting Die: Our Illusion of Innocence (Peter Unger). 37 The Emotional Dog and Its Rational Tail: A Social Intuitionist Approach to Moral Judgment (Jonathan Haidt). 38 The Secret Joke of Kant's Soul (Joshua Greene). 39 Moral Intuitionism Meets Empirical Psychology (Walter Sinnott-Armstrong).